Home Players And Rumors Clinton McDonald returns to practice. The Tampa Bay Buccaneers are looking up, as they have another starting defensive tackle returned to practice. Clinton Mcdonald, who had a sustained a hamstring injury rejoins team practice and hopefully, will join fellow starting DT Gerald McCoy, as hopefuls, for this week’s game against the 49ers. 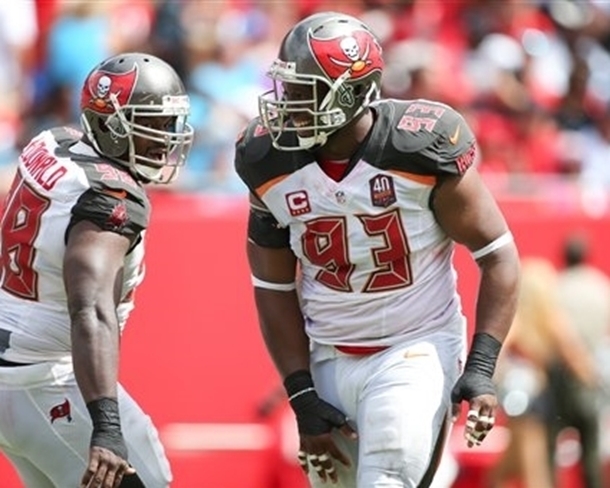 If both McCoy and McDonald return, that will place Tampa’s defensive line at full power and would help out tremendously, in winning The Battle of the Bays. Tampa is 2-7 against the 49ers, but this Tampa team should make short work of the struggling SanFransico team, and add another win to that bleak statistic. DT Clinton McDonald helps arrange free food trucks. Previous articleBucs may replace Jackson with a committee.